Boston Loves Paris: Allez les Bleus! Guillaume is praying to the Soccer Gods. And when he's not doing that, he is now golfing! 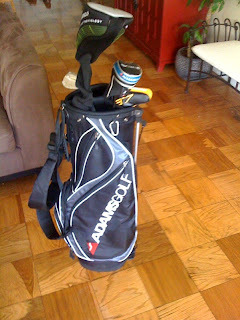 This is his new bag with some of his new clubs. 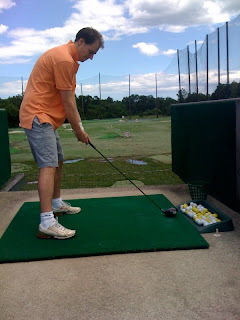 Angela & Guillaume went to the practice range in Saugus on a sunny afternoon. Guillaume is good. Angela is not. 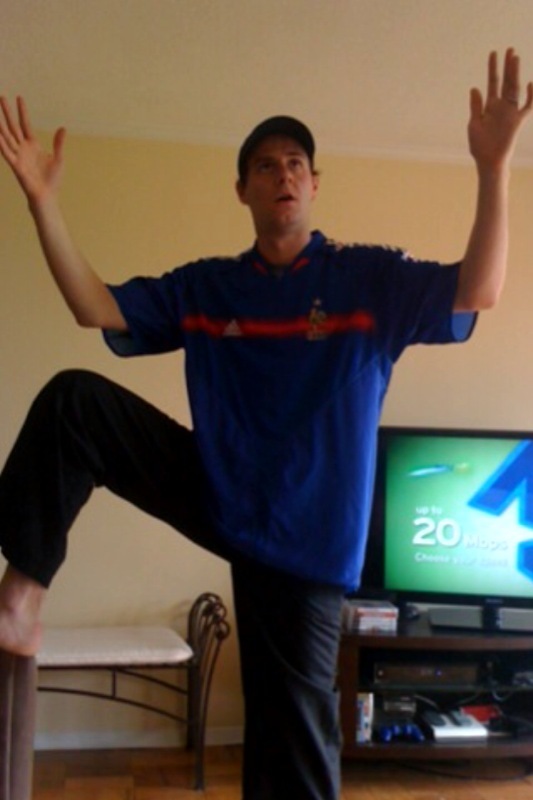 GO FRANCE ! GO USA ! I am sure Angela will be like me...what is good in golf, it's the small car to drive..No pressure, just pleasure!!!LOVE!!!!! Shame on "The french Blues"
But congratulations to american people! !